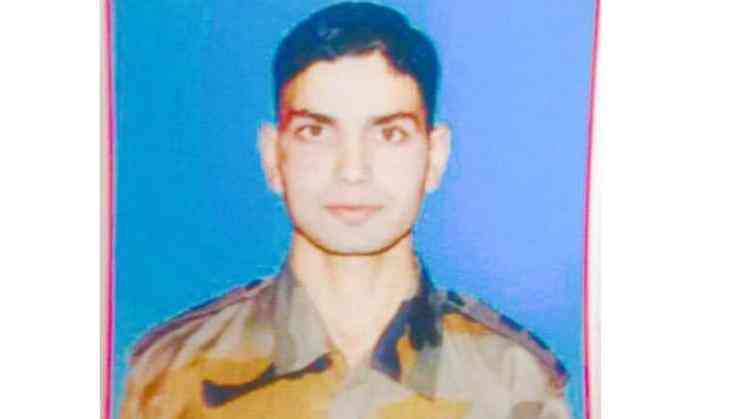 The young Indian Army officer who was abducted and then brutally killed by terrorists will be cremated with full honours in Sursun in Pulwama, Jammu and Kashmir. Lieutenant Umar Fayaz from RAJRIF unit in Akhnoor had gone to attend the wedding of his uncle's daughter at Batapura (Near Behibagh) on Tuesday, from where he was reportedly abducted by terrorists at around 2200 hrs and today morning his bullet-riddled body was found at Harmen, said the Army in a statement. His mortal remains are undergoing postmortem at the District Hospital in Shopian and will subsequently be brought to Sursun for burial with full military honours. Lt. Fayaz was commissioned on 10th December 2016 from the National Defence Academy and was set to head for the Young Officers Course in September this year. "He was part of the Hockey Team of NDA, excellent volleyball player. He was physically tough and the troops enjoyed being with him," the Army said. The police said that the officer was shot by terrorists five times in an orchard. His body was found lying by a local at Harman orchard and subsequently, after being informed, the police rushed to the spot.